Tired of playing an old RTS game like Clash Of Clans, Clash Of Kings, Boom Beach or Clash Royale? Do you want to try a new sensation in playing RTS game?Well, I think I have the solution about all of this problem and the answer is easier than you thought. 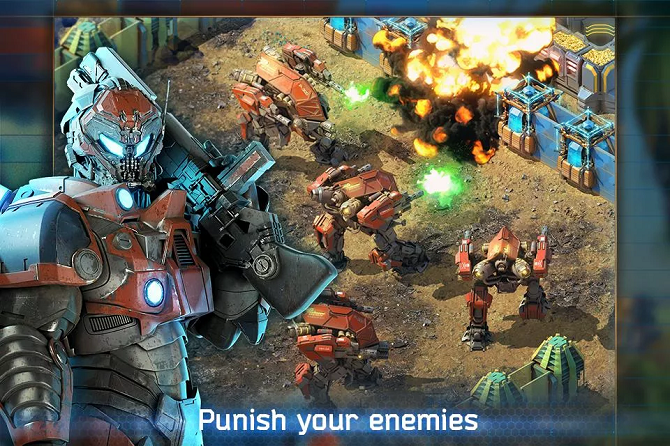 So, why you not playing the newest RTS game that will give you a whole new different sensation on playing RTS game. I suggest you try Battle For the Galaxy because this game is booming lately in Google Play Store. Well, don\t worry about you will get left behind, because I will also equipped you with a common Battle For The Galaxy tips and knowledge. So, are you ready to jump into the whole new world? There are a few things that you need to know before playing Battle For Galaxy game. First, this game is published by a big game company called AMT Games and released on 3 different platforms. So, you can play it whether in Android, IOS, and Windows. This game was released on September 13, 2016. This game adapting the theme of Galaxy Wars that maybe inspired from Star Wars or Guardian Of The Galaxy movie. However, like the other games out there, this game also has a lot of Pros and Cons that I will also include in here. Mediocre graphics with a good strategy science fiction game concept. We like the balance of resource spend balance for units, buildings, upgrades. Developers updating the game often. Well, aside from all of those Pros that I tell you, there is one fatal Con too! There are many similar games like this on game platforms and Google Play. It could be a better game. So, what is the other Con that you have experience in this game? Let me know so I can update it in this Cons box. Well, because there are so many new players on this game. I believe they are really blind about this game or maybe an experienced player on RTS games, who knows? However, to make it fairer, I will just share this common tips to help all of you grow and become stronger. try and upgrade your mines as much as possible. The extra energy and titanium will help you build new towers. Don’t upgrade all your defensive building at the same time. This will leave you open to attack. Save your crystals for drones. This will help you level up faster later in the game. Join a corporation. 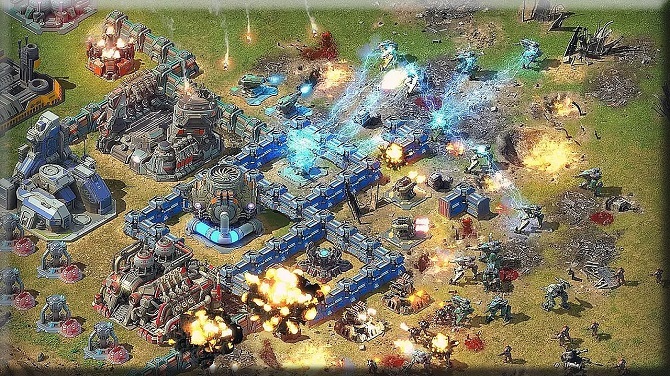 They will send you free troops to help defend your base (once you have obtained a corporate HQ). Just be sure to send some back. Plan your upgrades to happen when you cannot be on the game. This will optimize your build times. Place one drone building far away from your base. This will make the troops have to move after destroying the rest of your base potentially stopping them from getting 100%. Don’t accept any resources from challenges until you need them. This will provide free resources for later. Build troops and attack as much as possible. This is easy resources and medals. However, if you already do all of these tips and you are still low in progress to build up efficient troops, maybe you need a little booster that you can buy with crystals. But, crystals are only can be obtained through the quest and buy it with money. Don’t worry my friends, I know your problem and I will help you to fix it. All you need to do is click at this Battle For The Galaxy hack tool. After you follow all the steps that written in there, all you need to do is waiting for a couple of minutes, and finally, you can generate as many crystals as you want! Amazing, right? So, what are you waiting for? Go strengthen your troops now! Well, I hope you enjoy my article today about the battle for the galaxy tips. Thanks for coming and reading my article today. See you soon in my next article and have a nice day dude!